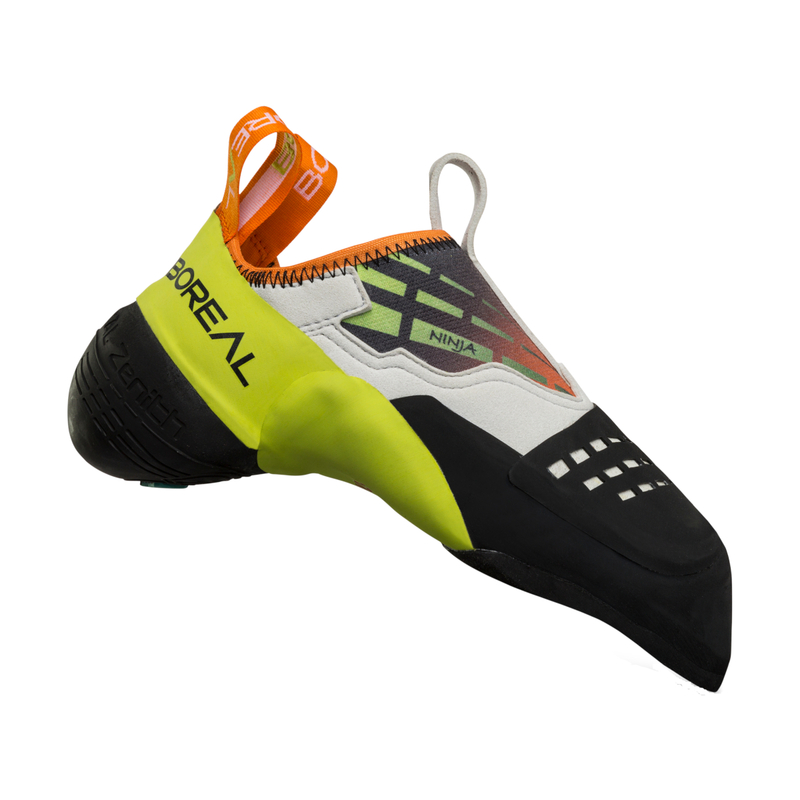 The Boreal Ninja is back and has been modernised to match the performance of contemporary performance climbing shoes. Built on the same last as the Satori, the Ninja is aggressively downturned and asymmetric, and with Zenith Ultra rubber—Boreal's highest friction compound—highly sensitive to provide precision and performance on micro footholds. The Wrap Rand tension system hugs the arch to provide a snug fit, and the toe rubber is moulded in a pre-downturned shape to ensure the shoe maintains its downturn performance for longer. The rubber on top of the toes is an extension of the toe rand with no seams or joins to reduce pressure points and maximise comfort and sensitivity. The synthetic upper also guarantees a performance fit over the lifespan of the shoe. All-in-all a great shoe at a great price.